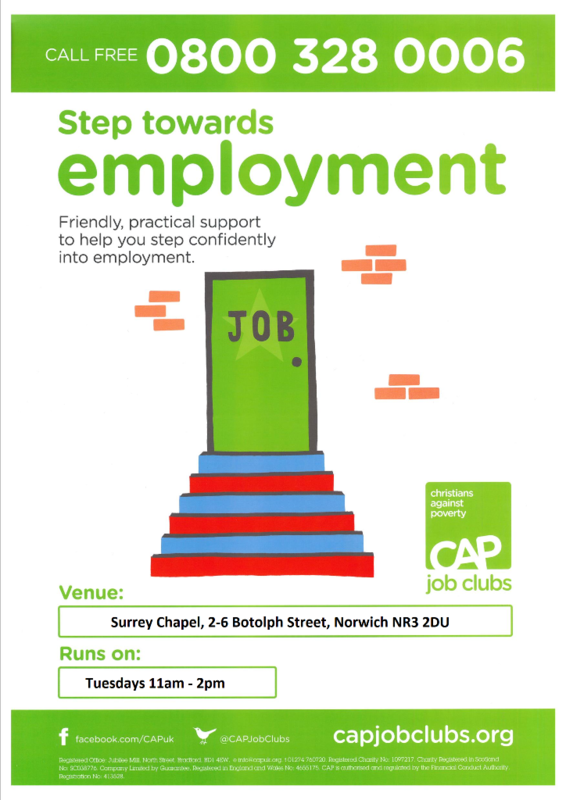 CAP Job Club is an 8 week course, free to attend and run at various times of the year. See above for or contact the Surrey Chapel Office for more details. This entry was posted on November 25, 2016 by Rob Varley.